For the next few months, I will be sharing my shopping adventures at Kohl's as a Kohl's Disney Jumping Beans Ambassador! Needless to say, I am super-excited, but our 7 year old twins may be even more so. Our son sleeps with three different Mickeys every night and his twin sister happens to be a self-proclaimed fashionista! 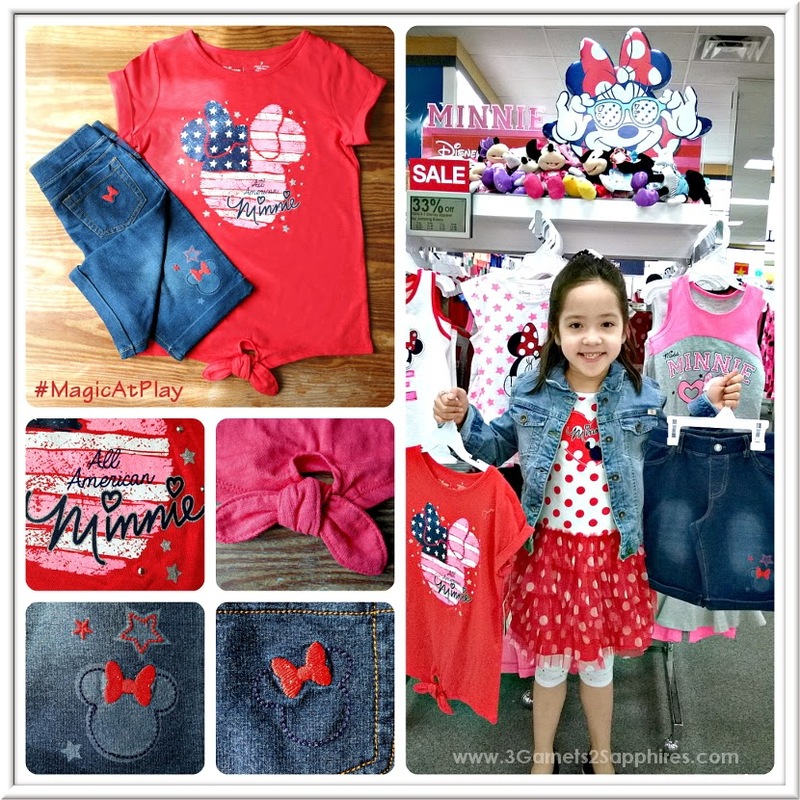 My first mission as a Kohl's Disney Jumping Beans Ambassador was to shop the Disney Magic At Play "Americana" collection. This collection was lots of fun to shop because our twins saw so many pieces that simply delighted them. 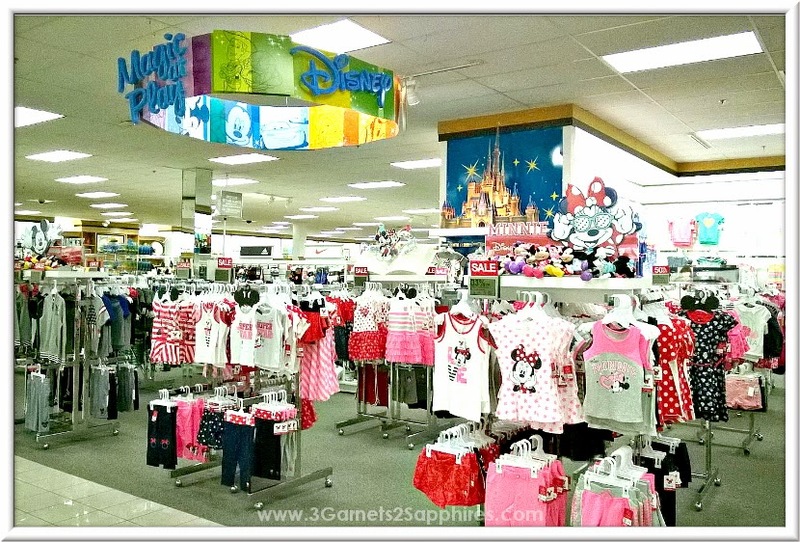 I believe the key was that, unlike many other licensed children's apparel, the Disney Jumping Beans collection offers playground-friendly fashions in on-trend styles my children would love to wear even if the pieces did not feature their favorite Disney characters. The boys' Americana collection features mostly red, white, and blue pieces with a little grey thrown in, which is perfect for summertime and for 4th of July celebrations (not to mention they're the colors of the New England Patriots). The boys apparel was very sporty, featuring favorite warm-weather pastimes like soccer and baseball. I was impressed with all the screenprinted, embroidered, and stitched-on details. There is something cool on every piece. I also loved that all the pieces are tagless for maximum comfort. My little Mickey fan had trouble narrowing his choices down to just two outfits, but he ultimately did it and managed to talk me into buying a small Mickey Mouse plush to add to his collection. His favorite outfit of all is the grey and blue soccer top and shorts. Not only does it feature his favorite Disney character, but I know he loves how soft the fabric feels. Our daughter was also able to pick out two outfits. It was extremely difficult for her because there were too many choices . . . tanks, tees, tunics, dresses, skorts, shorts, capris, and more. The collection offers pieces that are predominately red, white, and blue or pink, white, and grey. There were as many cheer and dance styles as there were girly styles. 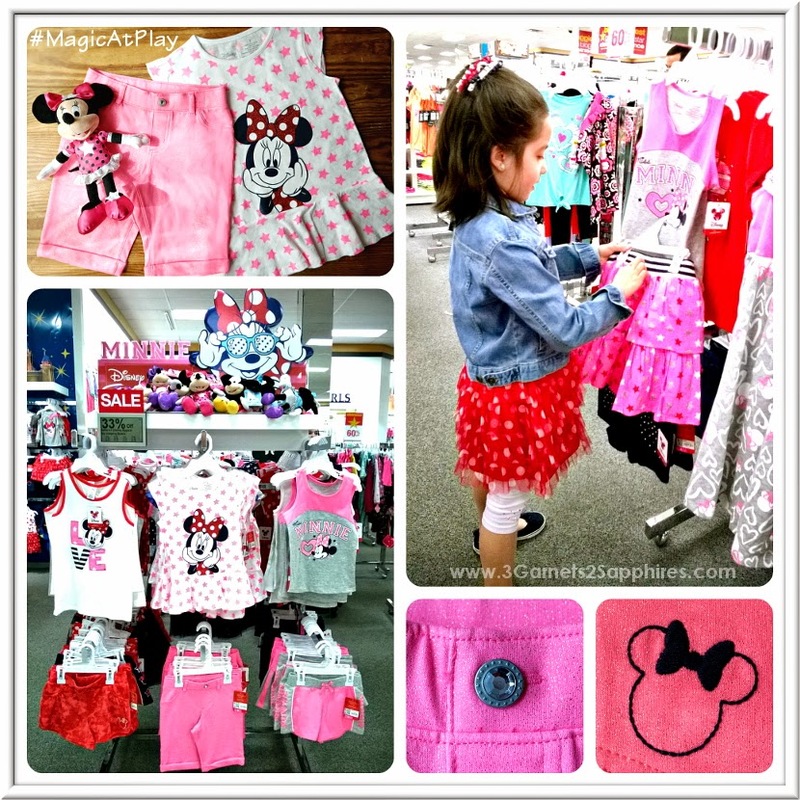 Our daughter opted for one outfit from each color story to feed both her sporty side and her girly side. 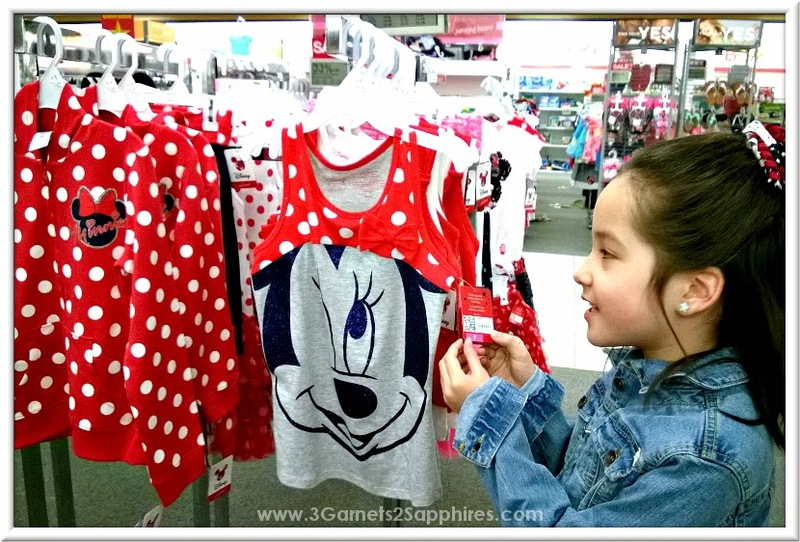 She ended up with two adorable playground-friendly outfits (plus a plush Minnie Mouse) that she can wear to school for the remainder of the semester, as well as throughout summer vacation. 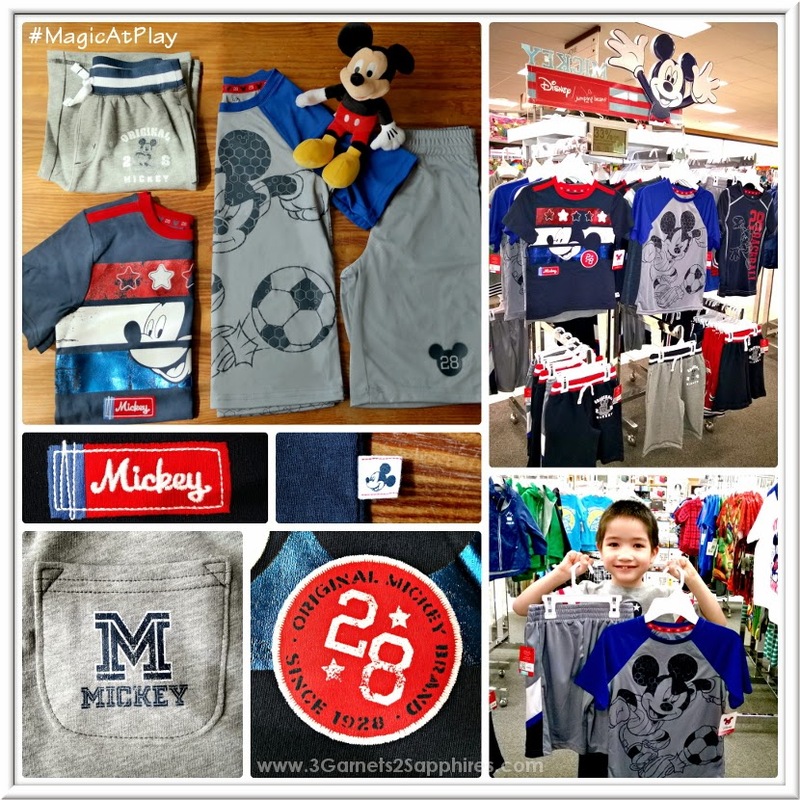 Be sure to visit your local Kohl's store to checkout the new Disney Jumping Beans Magic at Play children's apparel. Simply look for the Magic at Play sign and the iconic Disney castle. This clothing line offers children's sizes for infants up to a 7X for both boys and girls. You can also shop the Americana collection online at Kohls.com. All our pieces were on sale when we shopped over the weekend. Maybe you can catch the sale too, if you hurry!